The Bassendean Memorial library is 1200m2 in total, with 840m2 dedicated to library functions and the remainder comprising public toilets, meeting rooms and public space. It has public Internet terminals and word processors, a Local Studies section with a research room and conservation area, as well as dedicated areas for quiet reading, study, children, young adults and seniors. The Library building has an undercover public carpark (accessible from Wilson Street), two Meeting Rooms available for hire and public toilets. For details about hiring meeting rooms, including prices and availability, see Venues for Hire. Bassendean Memorial Library has a wide range of modern library services and resources and staff are committed to assisting you to make the most of your visit. A library card is required to borrow items. Membership is available to all residents of Western Australia at no charge and regardless of age. Regular and large print books, books on tapes and CDs, music CDs, DVDs, graphic novels and comics, magazines and newspapers, local government information, including Council minutes and reports, selected State Government Acts, a range of material in languages other than English. You can borrow up to 20 items for 3 weeks. For more information, and to access our library catalogue, go to our website. A Story Time session for pre-schoolers is held every Thursday and Friday from 10.30 to 11am. 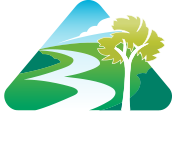 A book delivery service for House-Bound patrons is available on a fortnightly basis for residents of the Town of Bassendean. Our Local Studies Collection provides facilities to preserve the history of Bassendean and collects information relevant to the area. Reference facilities are available to anyone who requires help when searching for information on variety of topics. You can access our Library catalogue and other electronic resources. The library offers many additional services either for free or at minimal cost such as Internet and email, Word processing and scanning, photocopying in black and white and colour, faxing, laminating and binding.